Hey beauties! Merry Christmas to you all, I hope you had a lovely Christmas and got spoiled! I haven't been posting for a while has I have been moving houses, studying for exams and working! Yes I got a job.. well it's just for the holidays but still CONGRATS TO ME! 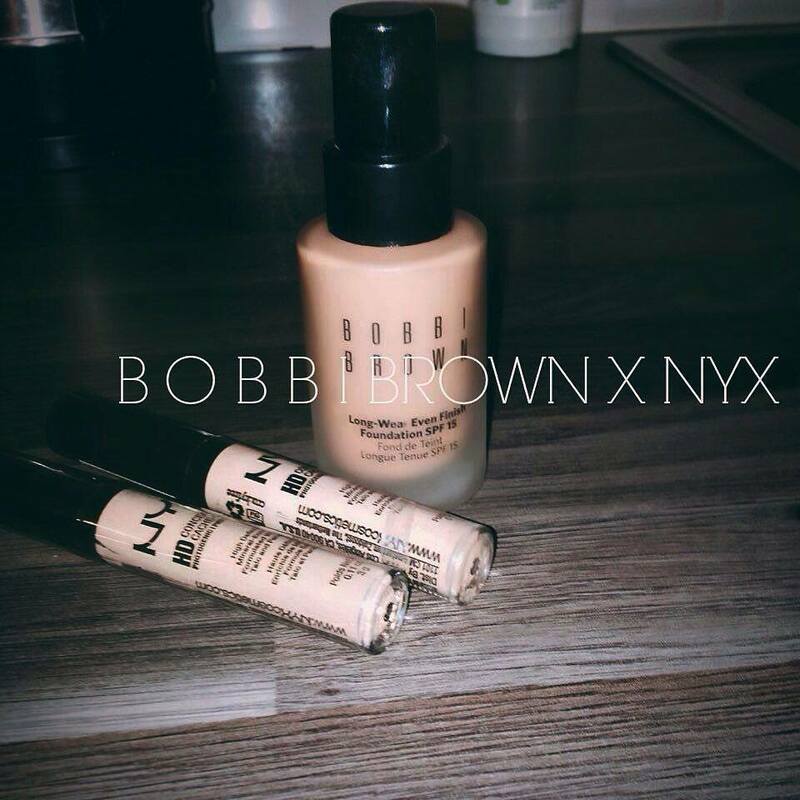 Today's post is based on my new favourite foundation from Bobbi Brown and concealer from NYX. Since I recently got a job, I decided to treat myself to a high-end foundation, I originally planned on getting a new M.A.C foundation but after working past the Bobbi Brown stand, I decided to try something new. As you already know by now, my face is really OILY ( I bought some skin care products for oily skin that I can't with to share with you) I decided I wanted a foundation that would give me a matte look and as I was spending a lot of money on this foundation, IT HAD TO BE THE RIGHT ONE. 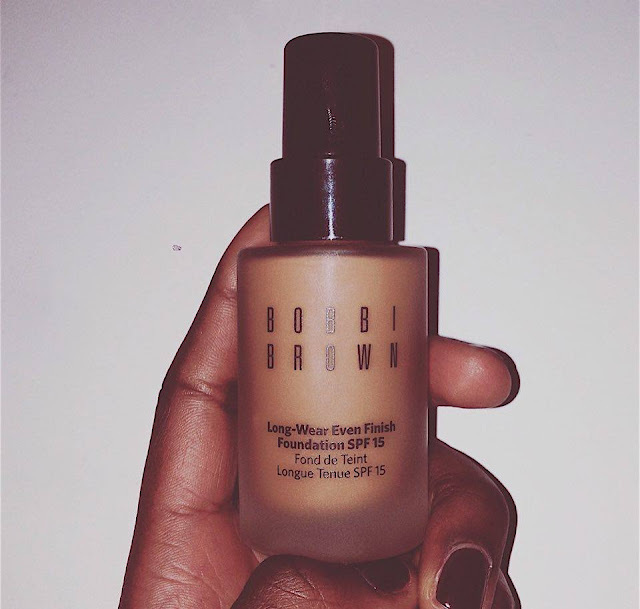 After speaking to the nice woman from Bobbi Brown, I decided to go with the Long-Wear Even Finish Foundation in the shade 6.5 Warm Almond. When it is in the bottle it does look really light, I literally spent 10 minutes worrying if I was about to spend €42 on the wrong shade, man I would have cried. You can see what I am talking about from the picture it does looks really light, but before making my final decision, I got one the staffs to test it on my face. The fact that they didn't give out testers was really annoying as I actually wanted to take it home and try it out myself but anyways, I ended up chancing my luck. A natural-looking and long-wearing foundation with SPF. Comfortable and hydrating, this medium to full coverage oil free formula never looks cakey or masky. Bobbi Brown in Brown Thomas on Grafton Street. I have been using this foundation for about a week now and omg yes, yes, yes! This is a foundation that I think it is worth the price! The first time I wore the foundation, I set my makeup with my oil-control setting spray from Urban Decay and my face was Matte for the whole day! I also used it without using a setting spray and I didn't touch up once and there was only a little oil! I am so happy with this result as if it was with my other foundation, it would have been horrible! I am usually in work for a long period of time and obviously, I can't keep running to the bathroom to set my makeup! So yes this foundation is a 10/10 from me! I originally planned on doing a blog post of a review of this concealer separately but since these two are my to go makeup product at the moment, I might as well tie it in together. I usually use LA girl pro conceal which is my all time favourite concealer as the coverage is just amazing but since it was not available in Dublin, it was time for us to part ways *inserts crying emoji*. 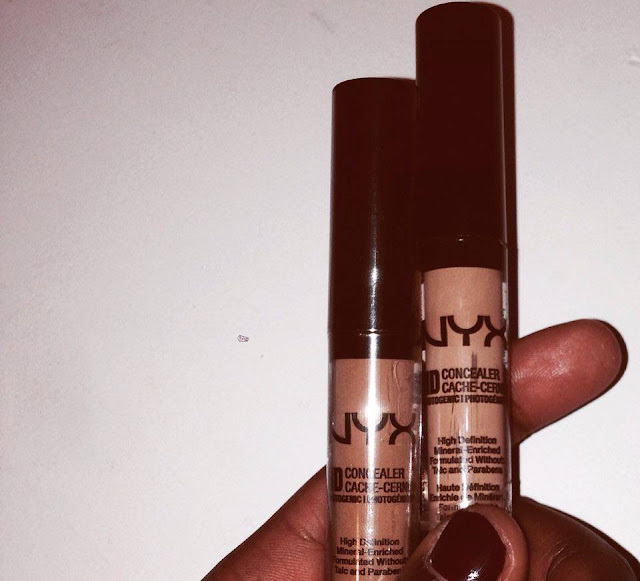 I never buy my concealer from high-end brands and I probably never will so I decided to go into boots to find a new concealer and I swear I could write an essay on how hard it is for a black girl to find the perfect shade! I ended up going to Hickeys and browsing through the NYX section as I have heard so much about the brand via youtube and to my surprise, they had a concealer close enough to my shade! Little wonder the Concealer Wand is one of NYX's best-sellers. The concentrated, emollient-rich concealer formula. It is non- comedogenic and creates medium to heavy coverage. Hickeys on Grafton Street or Pharmacy in Clare Hall. I am loving this concealer at the moment! It gives me the coverage I am looking for and it is also affordable! It also hides my dark circles!!! Any concealer that can hide my dark cirlces is a big yes from me! 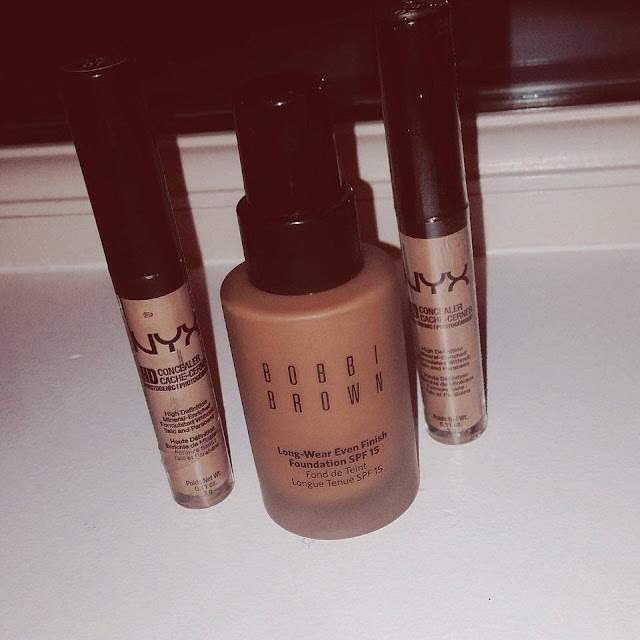 And that brings us to the end of this post, I hope you've enjoyed reading this post as much as I enjoyed goshing over Bobbi Brown and NYX.